Sunshine State Young Readers Award Jr. 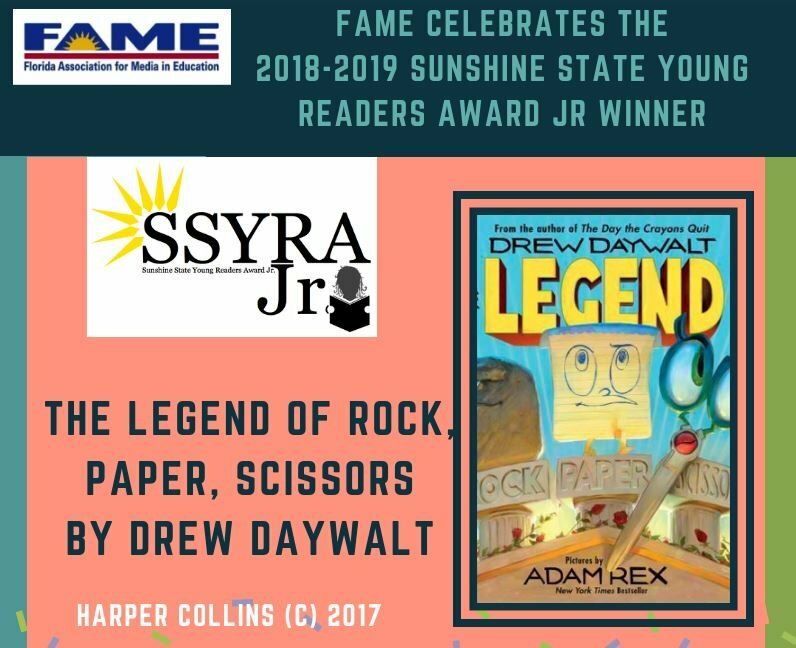 Welcome to the newest reading award program sponsored by FAME: the Sunshine State Young Readers Award Jr. (SSYRA Jr)! The mission of the SSYRA Jr. program is to develop student interest in reading for pleasure by exposing them to a wide range of appropriate literature. 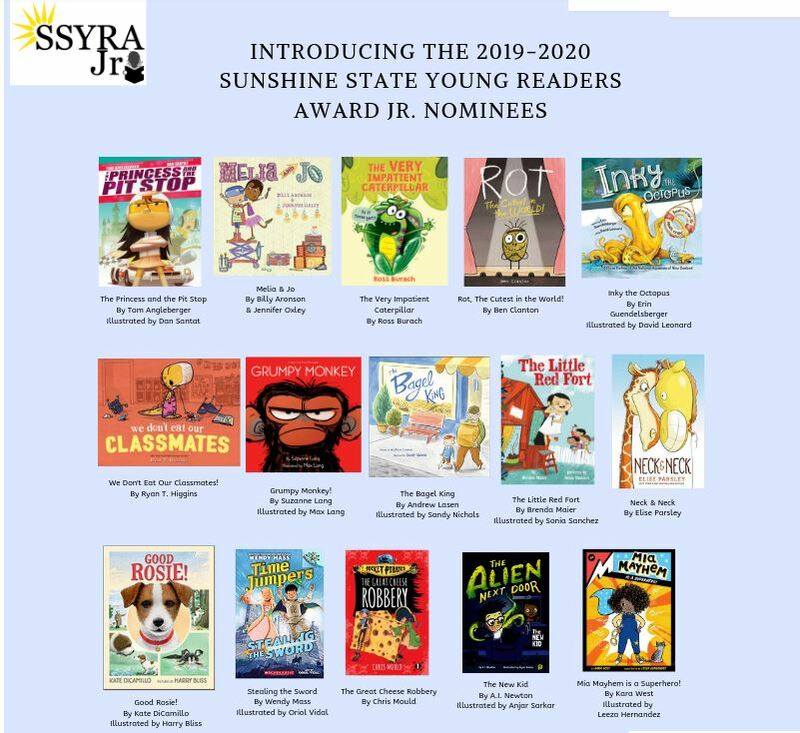 Sunshine State Jr. books are selected for their wide appeal, literary value, varied genres, curriculum connections, and/or multicultural representation. Students are encouraged to listen to these books read to them, read them in a small group setting, or read independently to develop skills in fluency and comprehension. 1st & 2nd grade sudents will be eligible to vote in the spring after listening/reading at least three of the books. The winning author and illustrator will be recognized at the annual FAME conference.